There are hundreds of batteries manufacturers, but you can count on your fingers those who made a deal with a car company. SB LiMotive is among the chosen few, and that shouldn’t surprise anyone in the industry. The first 2 letters of its name are S, for Samsung, and B for Bosch. The latter is the world’s largest auto-parts maker, and that makes things easier. When a new battery manufacturer would have difficulties to get a single contact with top-ranking auto executives, all car companies, from Tata to Rolls Royce are already in business with Bosch. The Bosh/Samsung joint-venture SB LiMotive has already signed with BMW, the supplier will provide batteries for the upcoming Megacity electric car. 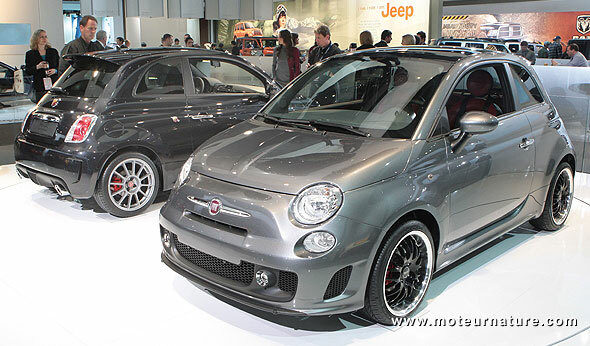 It signed today with Fiat who will launch an electric version of its famous 500 model in 2012. The car was shown as a concept at the Detroit motor show in January. There’s still no info about the characteristics of this future model.